Experts say that it costs 3-5 times more to acquire a new client than it does to retain an existing client. Yet, only 18% of companies put more emphasis on client retention than new client acquisition. So, what are some easy ways you can create more value for your existing clients in 2018 while keeping your costs in check? Act as a counselor. In a recent survey from ConnectYourCare, 90.8% of surveyors said that educating their employees on cost savings plans was a key factor when selecting a benefit partner. The truth is, many employees do not know the difference between Consumer Directed Healthcare (CDH) and Consumer Directed Benefits (CDB) plans, and who can blame them? With so much changing in the market, it is difficult to stay up to date on it all. The reality is HR teams are balancing so much; they strive to stay on top of things, but often find themselves strapped. As their trusted adviser, it is important for you to feel fully educated about different plan types, as well as all the changes happening in Washington D.C., so you can quickly and accurately update your clients. They need to hear the news from you first, so that you may continue to establish trust and empower your client’s employees to make informed decisions. Develop synergistic relationships. Help them, help you. By providing information to your clients that is outcome-based, whether data, transactional information, plan design, or even legislative changes and trends, you are developing a partnership with your client. You need to give your clients the information they need in a manner that is easily digestible. By doing this, you are creating a reliable service where you are handing them the tools they need to act quickly. Likewise, you should be working with vendors that will enhance your partnership ecosystem so you have a smooth client life-cycle to manage. Create greater efficiency. There is nothing worse than having to go to three different systems to pull information, only to spend another hour to interpret the data or process tasks in multiple complicated steps. The more you can streamline complicated business processes, the better for you and your clients. When evaluating services, while centralization may be convenient, it isn’t always the best if it is not efficient. Look for partners and service offerings that will ease all the manual processes and take away the headaches so you can service your clients quickly, and spend the majority of your time offering your clients exceptional service that meets their unique needs. Nurture your partnerships. One of the best ways to retain a client is to make sure they’re aware that (1) you are constantly looking out for their bottom line, and (2) you are their valued partner. After all, you provide services and information to make their lives easier and more efficient. Continue to nurture these partnerships throughout the year, not just at renewal time. Provide value. In the CDH space, there are a multitude of vendors that do not specialize in tax-advantaged accounts, yet they package these benefit accounts as an add-on service. 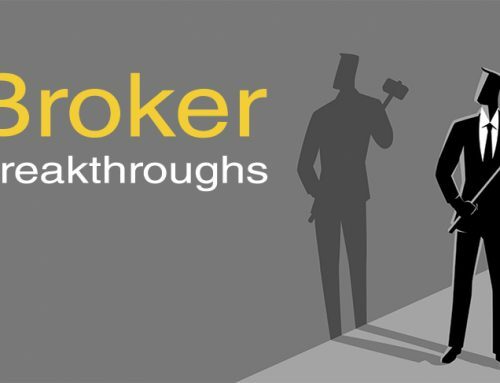 Unbeknownst to you, the broker, these vendors are offering bundled services to their clients with higher monthly fees and sub-par reporting. In some instances, we have seen fees as high as $8 per employee per month plus additional recurring monthly fees. Don’t let your clients incur this unnecessary cost. I am not saying that this happens across the board, but it does happen quite often. Make sure to do a market check to ensure you are offering your clients competitive programs that can be tailored for your client. Your clients will see that you offer higher value and budget-friendly plan designs that meet the unique needs of their employee base. By continuing to provide value to your clients by following these steps, and by leveraging better reporting and simpler tools, you’ll start to see your own personal Return on Investment soar, and you’ll enjoy more satisfied clients and increased revenue in 2018.